Welcome to Dirigo Home Inspections and thank you for visiting my website! Our headquarters are in Bar Harbor, Maine and we inspect residential and commercial buildings throughout the area including Mount Desert Island and Downeast Maine. 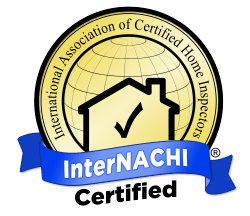 I’m an InterNACHI certified inspector with 30 years of experience in the construction and home inspection industry. I was also a licensed real estate agent for 15 years and know a great deal about both sides of the homebuying process. I will give you an accurate, concise report on the condition of your property that you’ll easily understand so you can make the best decision on your new home. If you’re looking for a residential or commercial inspector in Downeast Maine, I welcome the opportunity to connect with you and help you with your next property inspection. Please contact Dirigo Home Inspections today to schedule your next inspection. I look forward to hearing from you soon!